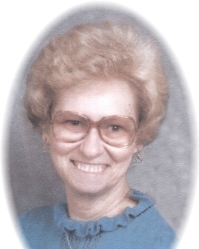 Mrs. Beatrice Irene Dunn age 89, of Griffin, passed away Saturday, April 6, 2019 at Renaissance Nursing Home. Mrs. Dunn was born in Lagrange, Georgia on January 27, 1930. She is preceded in death by her husband, Edward Robert Dunn; brothers, Sammy Finley and John Finley. She formerly worked at Piggly-Wiggly as a cake decorator. Survivors include her daughters, Gayle Cook, Kim Henson-Dunn, and Tami Goen; grandchildren Steven Cook, Phillip Cook, Krystle Freeman, Brandon Goen, Heath Goen, Keith Goen; eleven great-grandchildren; sister Frances Wilcher; many nieces and nephews. A graveside service will be Wednesday, April 10, 2019 at 11:00 am at Greenwood Cemetery in Barnesville, Georgia. Reverend Jeff Sheldon will officiate. In lieu of flowers, the family requests donations to the Shriners at https://www.shrinersinternational.org/ .